Canned foods made their debut on store shelves in the 19th century, and they’ve only become more common ever since. From your local deli to supermarkets, you can find pretty much anything—from tuna to pineapple—in canned form. But how did we get here? 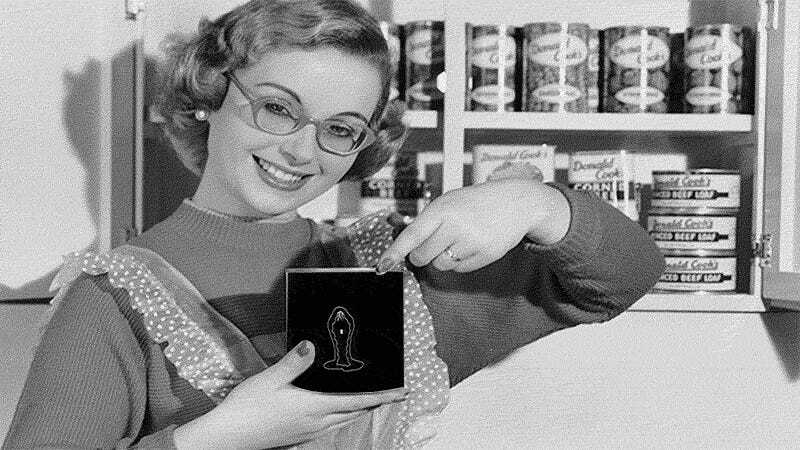 The history of canned food is more intricate than you’d think, and includes new inventions and changes in method and design that bring us to the canned goods we eat today. Canned food has its origins in the Napoleonic wars, where the French government recognized that finding a way to preserve food for their soldiers would be incredibly useful in the field. Rudimentary processes were put into place before the end of the war. As the practice took off in the coming century, the canning process became a major innovation in the industrializing world. Food could be preserved for years, by preventing bacteria from proliferating, increasing food safety and availability. Women filling early hole-in-top cans at Richardson & Robbins Cannery. Founded in 1856, R&R was the first cannery in the state of Delaware, and a pioneer in the American canning industry. Men making cans for meat at Richardson & Robbins. Can labelling at Richardson & Robbins. 1891: Tinned or jarred products used for cooking, from Mrs. Beeton’s Book of Household Management. 1909: A canning machine at the J. S. Farrand Packing Co., Baltimore, Maryland. 1910-1920: Community cannery, Asheville, N.C.
1912: A tin can making machine in operation at the Machinery Exhibition, Olympia, London. 1920: Discharged Sailors, Soldiers & Airmen’s store with its windows full of tinned food. 1925: A woman with her ‘Home Canner’ for preserving fruit. 1930: Factory workers prepare peaches for canning at a Del Monte canning factory in the USA. 1930: Canned goods on the shelves of a grocery store. 1934: Canning beans at Wisbech, Cambridgeshire. 1936: Canning plums at a factory in Faversham. 1937: A factory worker supervising the production of metal food cans. 1937: A new innovation–canned beer–is rapidly becoming very popular. 1937: A canned beer machine being tested out in London. 1939: A firm in Reading, England, is the first to fall in line with the British government’s plans for food storage by producing an emergency bread. The bread is baked in hermetically sealed tins and is claimed to be edible for 10 years. 1939: Canning machine. Grapefruit juice cannery, Weslaco, Texas. 1940: Workers in the labelling and packing section of a tinned salmon production line in a Vancouver factory. 1940: A volunteer displays the contents of a Red Cross Christmas package for British prisoners of war in German camps. 1944: Dr. William Clayton, adviser on canning to the Ministry of Food, explains the simple fuse in the lid of the self-heating can. The soup was hot in this can for four minutes. 1955: Packers at a fruit factory inspect pineapple slices and place them in appropriate cans. 1955: Canning peanut oil at Central Hershey, Cuba. 1955: Tins of strange food including octopus on skewers, lava worms, and fried silkworms. 1956: A tin of Unox pork luncheon meat. 1960: British cookery writer and television chef Fanny Cradock inspects some tinned Norwegian pate at the First National Delicatessen Exhibition in Park Lane House, London. 1962: A fine selection of foods in a Harrods hamper including dates, pickles, and plum pudding. 1962: Russian caviar from Astrakhan. 1963: Easy to open cola can. The 8-oz can, manufactured by the Reynolds Metals Company, marked the first time that aluminum cans were used in soda manufacturing. 1976: Pumpernickel, the famous German black bread, is an export hit, and many boxes of it go to the United States. At the assembly line of a bakery plant in Guetersloh, West Germany, Pumpernickel is tinned and readied for the transport over the ocean. 1981: Hungarian space food developed for cosmonaut Bertalan Farkas, participating in the Intercosmos program. 2003: Cans of SPAM on display at the Waikiki SPAM JAM Festival in Honolulu, Hawaii. The Waikiki SPAM JAM is a celebration of one of Hawaii’s favorite foods. 2005: Packers fills sardine cans at the Stinson Seafood plant, the nation’s last sardine cannery, in Gouldsboro, Maine. 2006: A canned food menu for the International Space Station, developed to meet the difficult requirements of dining in space, including zero bacteria. 2014: Canned processed pumpkins move along a conveyor belt in the case and label area of the Libby’s pumpkin cannery in Morton, Ill.
2015: With the popularity in craft beer spiking, breweries have faced an unexpected problem: a shortage in 16 ounce cans.